Some people have spent a lot of time studying the issue of hell. 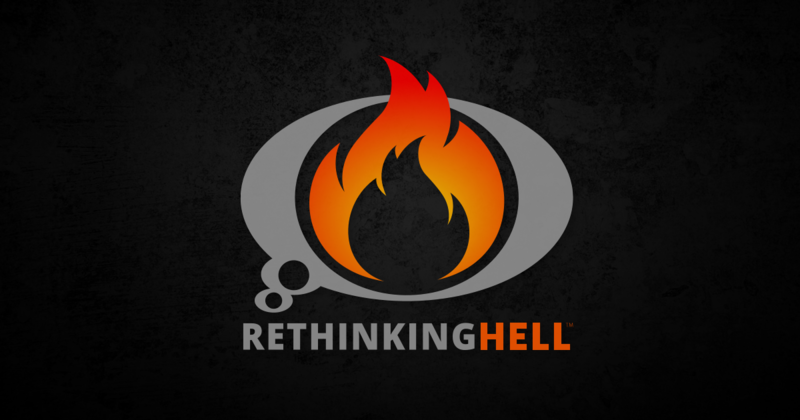 A small group of such people got together, and now we have RethinkingHell.com. But for many, this isn’t a top priority. So let me give an overview of some key things that the Bible says about hell, things that I think will surprise a lot of you who haven’t looked into this issue that much before now. 1. The Bible Warns Unbelievers of Death. It Even Says that Their Souls Will Die. Just because many people tell us that we have (or are) an “immortal soul” and that “everybody lives forever somewhere” doesn’t make it true.2Now, traditionalists will argue that by death, it doesn’t mean death like what happens to a dead body (which cannot feel or think or anything). They will argue it has a different meaning in the Bible. It is usually said to be a somewhat technical theological term simply for separation of two things. However, as shown previously, though death can mean more than one thing, and separation is involved, it is much more like what happens to a dead body than we have been told. If God doesn’t do to the soul what humans can do only to the body (i.e. kill it, make it as vivacious and conscious as a corpse), then why would Jesus have even brought it up? One might argue that even if annihilation5As defined here was meant, Jesus only said that God can do it, not that he will. But, that raises the question of why Jesus would have warned about what God could do if God would never do it, even to the wicked, no matter what. If this were so, “then the same purpose would be served by some absurd warning like ‘be afraid of the One who can turn you into a melon. '”6Glenn Peoples, “Why I Am an Annihilationist,” Right Reason, n.d., http://www.rightreason.org/articles/theology/annihilationist.pdf (accessed October 28, 2013). Other passages also speak of humans being destroyed. Matthew 7:13-14 has Jesus warning against following the path that leads to “destruction,” a path that is contrasted with the one that leads to life. Those are the options; life or destruction. It is that simple. Several other passages speak of the same fate for the wicked, including Philippians 1:28; 3:19; 1 Thessalonians 5:3; 2 Thessalonians 1:982 Thessalonians 1:9 is often appealed to by traditionalists as well, due to the use of the word “eternal” (which is assumed to mean that it must be an everlasting and conscious state or process), and because it speaks of something being outside of the Lord’s presence (in most but not all translations), which is assumed to mean that the lost are separated from God and remain conscious in that state for eternity. For rebuttals of these unwarranted assumptions, good resources include “Why I am an Annihilationist” by co-contributor Glenn Peoples, The Fire that Consumes by Edward Fudge, or, if I may, my own free ebook The Bible Teaches Annihilationism., and 2 Peter 2:12. Immortality is something to be sought, and it is something that the righteous seek. Why seek something that is universal? Indeed, it is assumed that the Bible teaches the immortality of the soul. Or, when people read the Bible and see such a declaration nowhere, they assume that the Bible must assume it to be true! But based on these passages that actually address the topic, we don’t have to assume anything to see significant evidence for the mortality of the soul. A failure to gain immortality would then logically doom the unsaved to an end to any sort of life, not continued life in torment. If every knee bows, it’s hard to imagine how sinners could still be around, rebelling against God. Some have argued that they bow their knee out of abject terror, but there is something to be said about the argument that God does not delight in or appreciate false worship or submission.13Julie Ferwerda. Raising Hell: Christianity’s Most Controversial Doctrine Put Under Fire (Vagabond, 2011), 121 Jesus certainly did not have a high view of that attitude, as it is written: “And He said to them, ‘Rightly did Isaiah prophesy of you hypocrites, as it is written: THIS PEOPLE HONORS ME WITH THEIR LIPS/BUT THEIR HEART IS FAR AWAY FROM ME'” (Mark 7:6). God does not delight in people honoring him with their lips (or their knees) when their hearts still hate him. And yet, Philippians tells us that all creatures bowing their knee to Jesus this was the very purpose of God sending him! That certainly sheds some light on what God had in mind there. Some will argue that there is nonetheless evidence that the unsaved will sin and oppose God in hell for ever and ever (usually based a single misinterpreted passage in Revelation and their own theological assumptions), but that has been dealt with here already. Not just generically “all” things, but all things in heaven and earth. Everything that exists, will be in Christ. While one could say that the unsaved, in the traditional view, are under Christ’s judgment, they are surely not in Christ, which is the complete transformation of reality that the Bible describes. If there is a place somewhere in creation where live, sentient creatures are stored away and kept apart from God (and according to most, sinning against him), how is God all-in-all? The language suggests a complete overtaking and filling of his presence. God is already everywhere in terms of geographic location (Psalm 139:7-8), so this must be meant in some even deeper sense, where he is all things to all things. That sure doesn’t sound like something that allows for some place filled with people that are detached from his goodness and fullness. 5. Many Passages That Are Said to Prove the Traditional Doctrine Actually Do the Opposite. Mark 9:48 is a commonly cited by traditionalists. The passage speaks of hell, “where their worm does not die, and the fire is not quenched.” It is reasoned that in hell, the fire burns forever and the worms keep eating the wicked (or something along those lines). But there are issues with that. First of all, you don’t need a Ph.D in theology to know that to quench a fire means to actively extinguish it, and that a fire that burns everything up and is not extinguished but dies out on its own has not been quenched. Put another way, all fires that burn for eternity are fires that will never be quenched, but not all fires that will never be quenched are fires that burn for eternity. That’s why numerous times, the Bible speaks of fires that are not quenched yet are clearly not fires that burn forever (e.g. Jeremiah 17.27; Ezekiel 20.47). Instead, the fires in view consume everything because no one can put them out (i.e. quench them). A fire that dies out when it has burned everything up is still a fire that has not been quenched. And what is Isaiah 66:24 speaking of? Corpses. Dead bodies. The bodies of the people God spoke of slaying in Verse 15. It should be obvious why this is significant; you cannot torment a dead body! Whatever Jesus meant by quoting that verse, he was using language that referred to what happened to dead, untormentable bodies. Numerous other examples exist, but hopefully for now, your appetite has been whetted. So, to recap. The unsaved will suffer death. Their bodies and souls will be destroyed. The Bible ties immortality to God and the saved only. The Bible, in straightforward descriptions, describes an eternity where everything that exists is in Christ and where God is all-in-all. And as you’ll see, as you read more on this site and study the issue more, the passages that are used to prove the traditional doctrine fail. At least some, when looked at in light of clear Old Testament allusions or when looked at beyond just going “see, it says eternal,” actually lend weight towards the conditionalist position. Now, this has been mostly one-sided, but that is because this is meant to be an introduction, not an exhaustive look at all the passages involved. Obviously, traditionalists have responses and rebuttals that we haven’t addressed in this article. That said, as you look into this deeper, I think you will find that, though some such rebuttals may sound convincing at first, they are insufficient. Don’t think that our arguments are superficial and that this is all we have. I wrote a 500+ page ebook on this topic; obviously our whole case doesn’t rest on a few snippets here and there! But for some of you, I bet this is quite an eye-opener. We aren’t told about these things above, things that are right there in front of us but that we don’t expect to find and thus often overlook. Little things like this are why more and more Christians, when they seriously look at the Bible’s teaching on eternity, are rethinking hell. 1. ￪ Unless otherwise noted, all scripture quotations I give are from the New American Standard Bible (NASB). Scripture taken from the NEW AMERICAN STANDARD BIBLE®, Copyright © 1960,1962,1963,1968,1971,1972,1973,1975,1977,1995 by The Lockman Foundation. Used by permission. 2. ￪ Now, traditionalists will argue that by death, it doesn’t mean death like what happens to a dead body (which cannot feel or think or anything). They will argue it has a different meaning in the Bible. It is usually said to be a somewhat technical theological term simply for separation of two things. However, as shown previously, though death can mean more than one thing, and separation is involved, it is much more like what happens to a dead body than we have been told. 4. ￪ For more on this, see Dr. Glenn People’s article on the topic. 6. 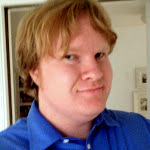 ￪ Glenn Peoples, “Why I Am an Annihilationist,” Right Reason, n.d., http://www.rightreason.org/articles/theology/annihilationist.pdf (accessed October 28, 2013). 8. ￪ 2 Thessalonians 1:9 is often appealed to by traditionalists as well, due to the use of the word “eternal” (which is assumed to mean that it must be an everlasting and conscious state or process), and because it speaks of something being outside of the Lord’s presence (in most but not all translations), which is assumed to mean that the lost are separated from God and remain conscious in that state for eternity. For rebuttals of these unwarranted assumptions, good resources include “Why I am an Annihilationist” by co-contributor Glenn Peoples, The Fire that Consumes by Edward Fudge, or, if I may, my own free ebook The Bible Teaches Annihilationism.